Using cat nail clippers on your kitty may not seem like your idea of a good time. 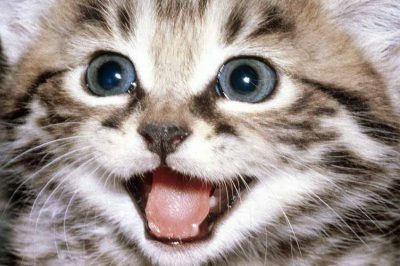 But if you'd like a relatively soft toed kitty that is less prone to destroying your stuff, read on and learn how to trim your cat's claws at home. Like most things, it's best if you can start trimming your cat's claws when he's still a kitten. By exposing them to grooming early on and making it a safe experience, you set yourself up for a lifetime of an easier nail trims. Step 2.5: My Cat Doesn't Want To Be A Burrito! Just Say No To Nail Caps! Check out our great c﻿﻿at na﻿﻿il clippers here! 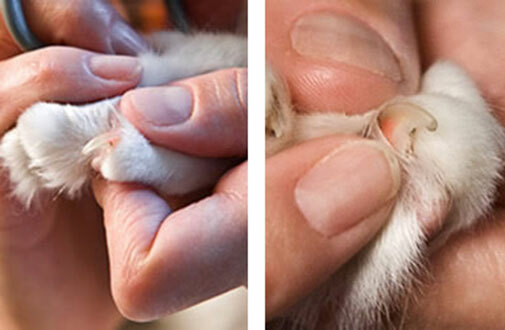 The idea behind trimming your cat's claws isn't to make him clawless. 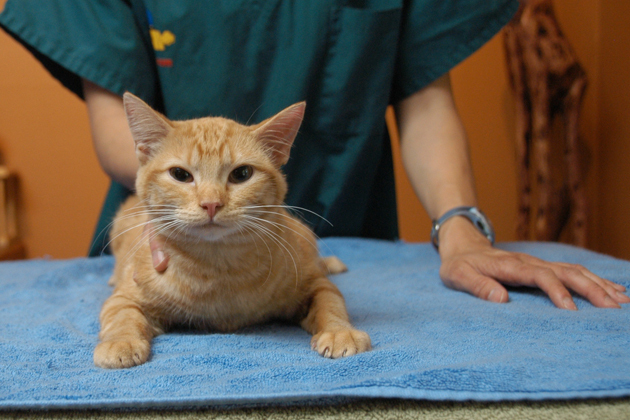 If you're unaware of why declawing your cat is bad, you can learn more in this article. The point behind trimming is to remove the sharp tips. The tips are what poke into you when your kitty is showing you some love by kneading little pin pricks into your skin. Those tips also create pulls in your clothes or anything else they snag. On your cat's side of the house, untrimmed nails can catch on carpet or furniture and painfully tear the nail - similar to when you break one of your nails in the quick. 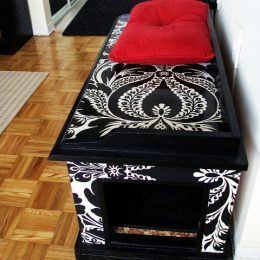 While trimmed claws to cut down on damage to furniture, if you redirect your cat's natural desire to scratch by introducing scratching posts, cat trees, trays, and pads, it should cut down on the amount of time he spends redecorating the side of your couch. 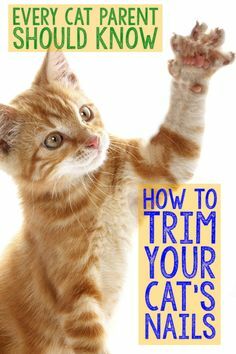 In the previous section, we talked about why it's important to trim your cat's nails. 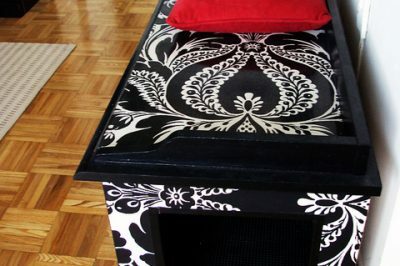 One reason is to minimize the damage done to your furniture when you cat's natural scratching instincts kick in. 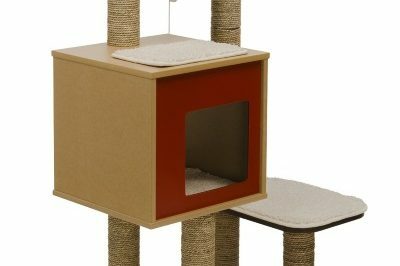 By having acceptable options available such as scratching posts, pads, trays, or even a cat tree - you can minimize the damage to your furniture. If your cat is still going after the couch, here's a video to help you address not only furniture scratching, but other common issues just as jumping on furniture or counter tops. I have to admit, I don't care if Bob or any of my kitties get on the furniture. However, some folks do, so here are some tips to try. You'd think there would be just one type of nail clipper for your cat, but no. There are actually quite a few different styles and each has its own pros and cons. Let's break down the 4 main styles. Scissor type nail trimmers are exactly as they sound. This is a cat nail trimmer shaped like a pair of scissors. 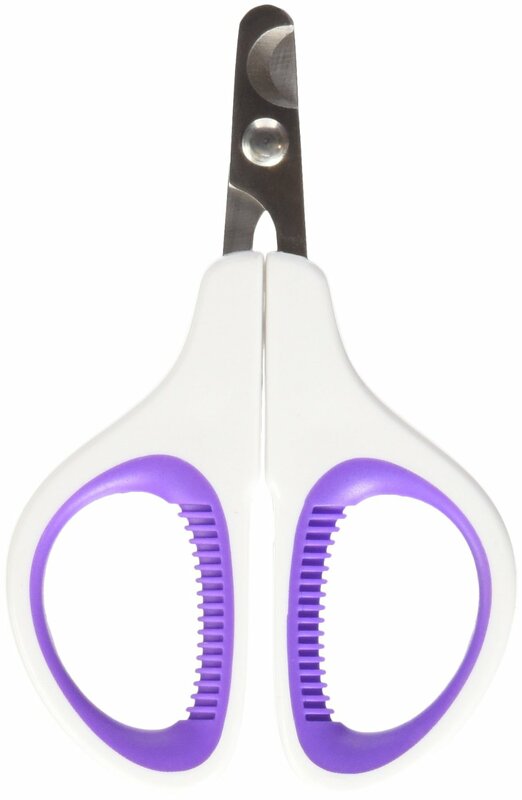 Instead of the regular length scissors you're used to around the house, these typically measure about 3-4" in length. Also, they have a rounded tip similar to children's safety scissors. Scissor style cat nail clippers are preferred by some owners because it's easier to see the claw and visualize the quick when trimming. This can prevent cutting the claw back too far and causing your kitty to bleed. The kitty nail clippers shown, (Pet Repbulique Professional Nail Clippers) are highly rated for their ease of use and durability. While they're labelled as dog clippers, the mini and small sizes will work fine for cats and many people who purchased and reviewed them are cat owners. Pliers type cat nail clippers function much the same as scissors. The difference is in the grip. 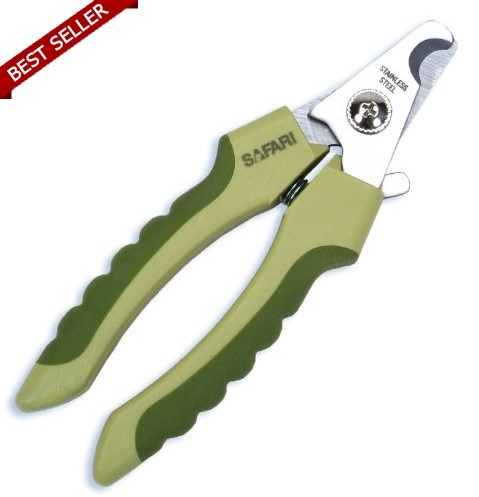 As you can see from the Safari Professional Nail Trimmers in the photo, the handles resemble a pair of pliers versus the looped handles of scissors. 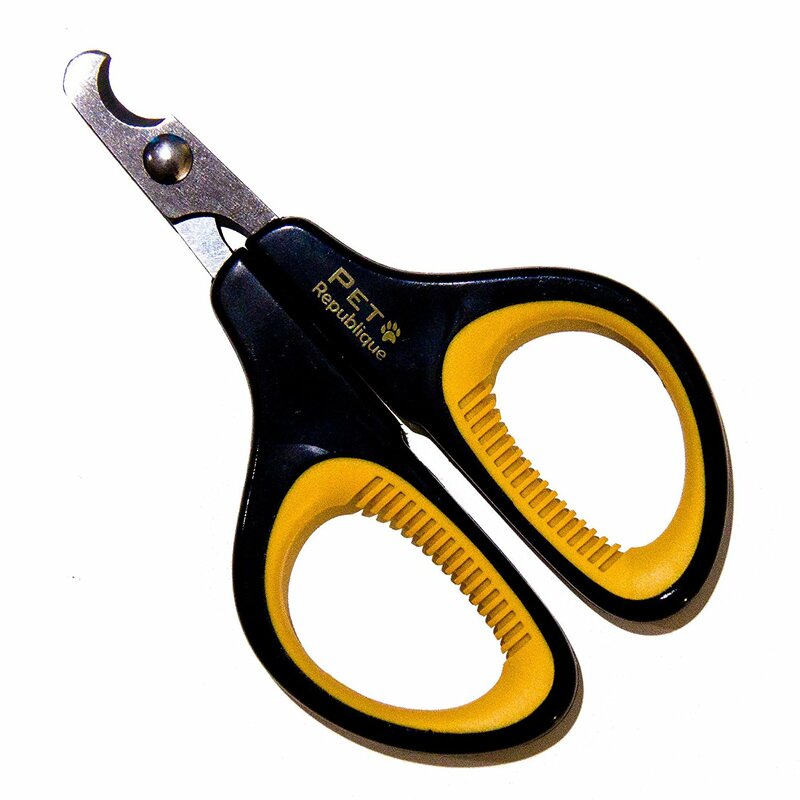 Another difference between plier-type and scissors is that the pliers type cat​ clippers have a thicker, stronger blade and are well suited to large cats or cats with thick claws. Also, if you also own a small dog, this is a good clipper to own for dual claw cutting! Next up are guillotine nail trimmers. If you look at the Resco Professional Cat Claw Clippers on the left, you'll see that the blades form a loop. You insert your kitty's claw into the loop and when you squeeze the handles, the loop closes down and clips the claw. Guillotine clippers are less popular than the other types because if you don't keep the blades sharp or are unsure about your cut, you can crush or crack the claw instead of actually cutting it. 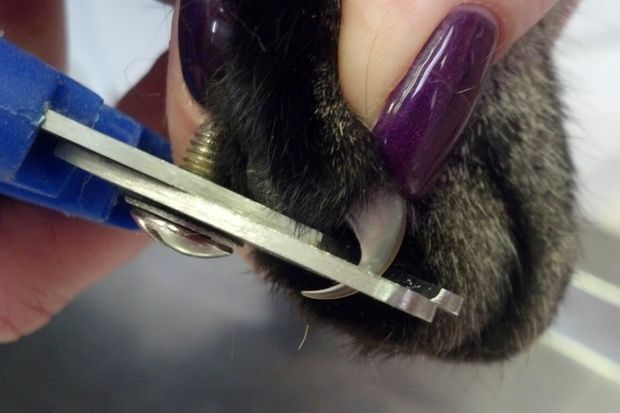 Also, if your cat is anxious or not very laid back about the clipping process, the guillotine is harder to use because you have to actually insert the claw into the loop. Unless you are experienced and confident in your clipping skills, you may want to avoid this type of clipper. 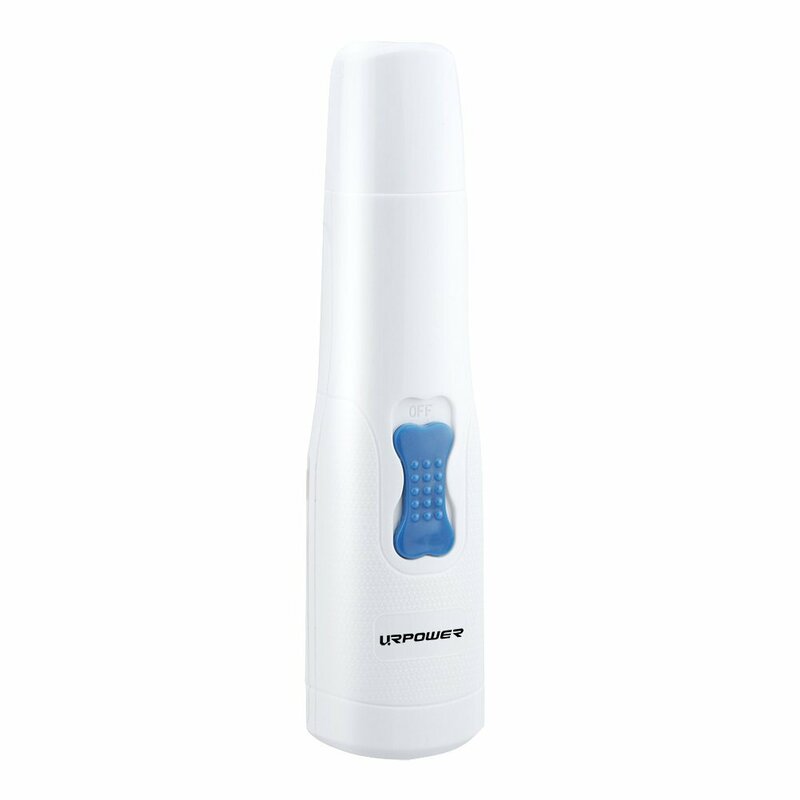 The final type of trimmer is the electric pet nail trimmer. This trimmer has a grinder attachment so instead of cutting your cat's nails, you are grinding them down instead. The upside to electric grinders is they are extremely easy to use and beginners don't have to worry as much about cutting into the quick of the nail and making the cat bleed. (Though if you were to grind too far back, that could still definitely happen). The downside, however, is because the grinder runs on a battery operated motor, it makes noise that cats aren't generally a big fan of. Some cats get used to it once you turn it on and leave it running around them. Others just don't care for it and as a result, will freak out if you turn it on while holding them to do their nails. If your cat is on the skittish side, this type of nail trimmer may not be for you. However, if your cat is very laid back and not rattled by much, you may want to consider the electric cat nail trimmer for its ease of use. Your clippers are only as good as the blades doing the cutting. 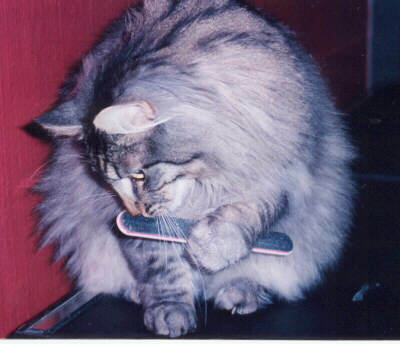 Having sharp, well maintained blades will make cutting your cat's nails quick and easy. Dull blades can lead to crushed or cracked claws and you don't want that. 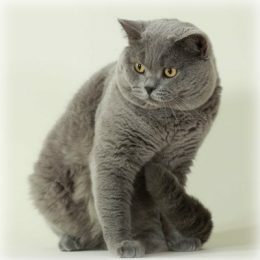 By crushing or cracking the claw versus making a clean cut, your cat can get infected and this can lead to vet visits and antibiotics. 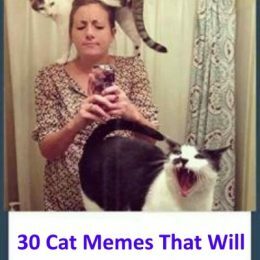 No one, especially your cat, wants that! Some clippers like the Resco Professional Cat Claw Clippers previously mentioned have replacement blades you can purchase. However, due to the low cost of clippers, (under $15.00 for many styles and brands), most folks find it easier to just buy a new pair when the old ones wear out. So far you've seen the top products in each different style, but which one do we recommend? Honestly, you won't go wrong with any of them as long as you understand the pros and cons of each. Cat nail clippers are reasonably priced with most models under $15.00, though some of the electric models can run a little higher. 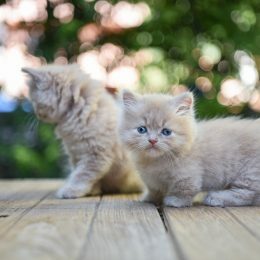 ​The clipper we most prefer is the Whisker Wishes Veterinarian Grade Pet Clippers. These are great clippers because they're designed for smaller animals like cats, rabbits, and ferrets. Many of the other clippers on the market, while they come in varying sizes, are on the large side for cats and harder to use if you're a beginner. ​There are other clippers on the market with more reviews at Amazon, but on inspection many of the reviews are not from verified purchasers, but are solicited reviews. The Whisker Wishes Pet Clippers are positively reviewed by people that have actually purchased and used the product, which inspires confidence in our own experience with them. Now we've reached the moment of truth! You've selected a pair of nail clippers that best suit your experience level and your cat's temperament. So how, exactly, do you cut your cat's claws? Trimming your cat's nails isn't that hard once you know how to do it. 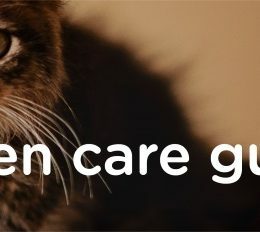 Even cranky or anxious kitties can get trimmed without a trip to the ER if you take your time and have a plan. If your cat is in hyper-spazz mode, that is not the time to trim his nails. 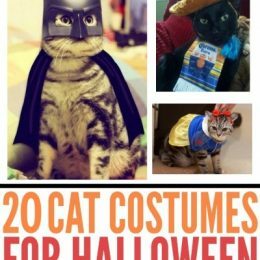 Instead, you want your cat to be relaxed and calm. Well maybe not THAT calm, but it would be nice! Next we'll discuss ways to contain your kitty if he's more aggressive or not really thrilled about the prospects of a nail trim. Never rush or force your cat into a towel. She may scream or even urinate or defecate out of pure panic. 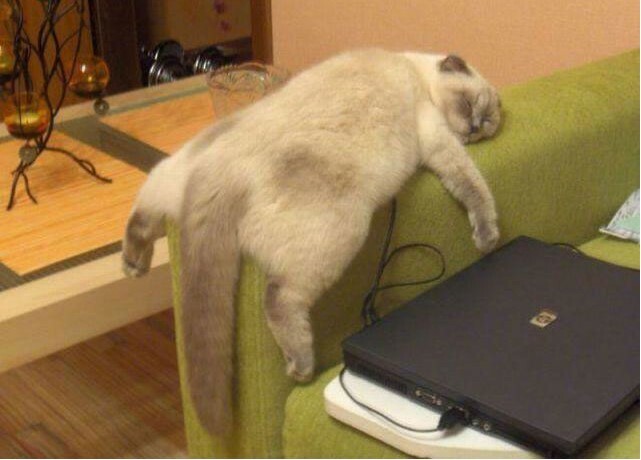 Position your cat on top of a towel that's on a flat surface. 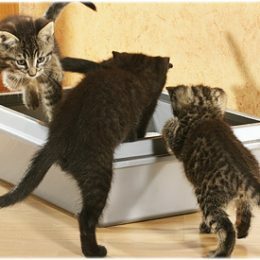 Then open a can of food and place it on the towel, so that your cat has to lie or sit on the towel to eat her meal. Loosely wrap the towel over your cat’s back while she eats. Gently pet her back and let her walk away when she's done eating. There are several toweling-the-cat techniques, but one of the most effective and versatile options is known as the “scarf wrap.” It gives you access to your cat’s rear end, front legs and head — all while keeping her snug and calm. Start by placing your cat several inches from the front edge of the towel and about a foot in from one side. 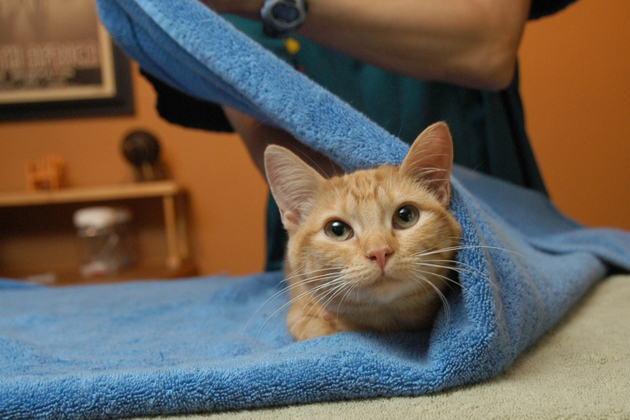 Wrap the short side of the towel snugly around your cat's neck, like a scarf. PLEASE NOTE: The key word here is "snug" - not tight or in any way that may choke your cat. This will create a sense of panic and possibly injure your cat or you. 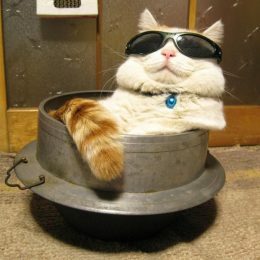 Your cat should still be able to breath comfortably at all times!! This 2nd photo gives you a better view from the top. 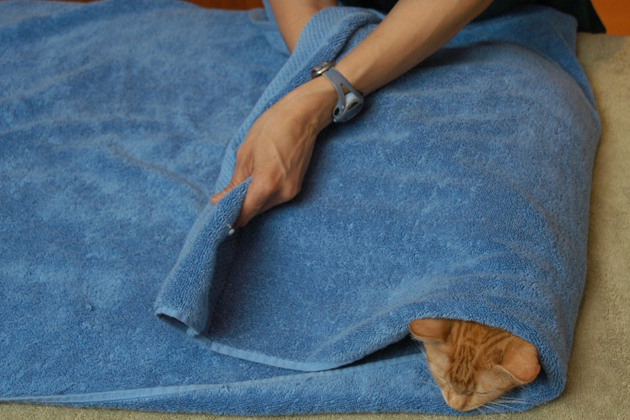 Pull the short side of the towel over your cat so that the entire body is covered except for the face. Pull the front edge of the towel forward, which will wrap under your cat's neck. Once the towel is wrapped all the way around, grab the other side and pull it over your cat, making sure that it's snugly in place. 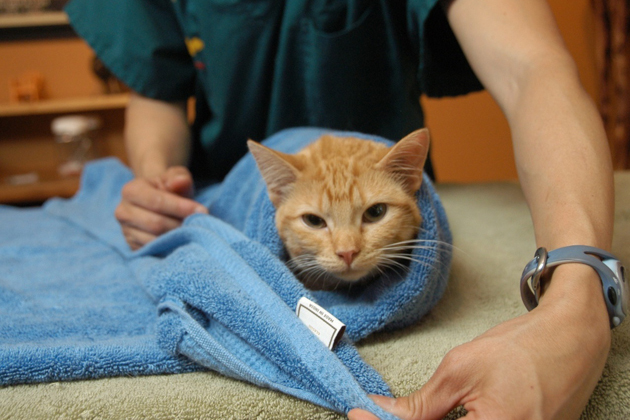 Now that your cat is secured in the towel, you can give her medication or clip her nails by working on one leg at a time. When trimming nails, use your arm to gently hold the cat next to your body, and keep your hands away from her mouth to prevent bites. If towelling isn't for you, check out this video that gives you some alternatives that don't include scruffing or towels. Taking your cat's paw, squeeze gently on the pad to expose the claw. Be gentle and speak quietly to your cat to help him stay calm. When the nail is exposed you will want to look closely as you will see a darker portion, which is the root of the nail. This is called the quick. 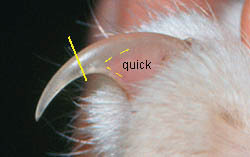 You do not want to cut this darker spot of the nail as it will hurt your cat and can cause bleeding. 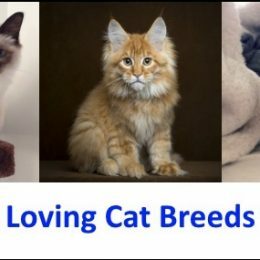 If this happens, do not worry as there is powder that can be applied to stop the bleeding, however you will want to be sure to avoid cutting into the quick if at all possible as this will cause your cat unnecessary pain. This is similar to when you break a nail down in the quick making your finger bleed. Now it's just a matter of clipping the nail. Remember that you're TRIMMING your cat's nail. You aren't trying to remove the entire nail no more than you would want to remove your entire nail when cutting your own nails. As long as you trim the tips, avoiding the pink quick area, you and your cat will be just fine. If you accidentally trim too far back and nick the quick, use styptic powder to stop the bleeding. 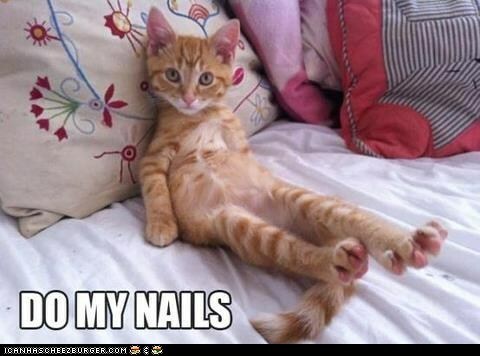 If this is the first time you've ever trimmed your cat's nails, don't worry about cutting every single nail. Just aim for one or two and then maybe do a few more later. 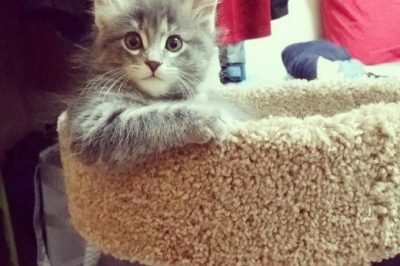 The more calm your cat is, the easier the process will be for both of you! Nail caps give the promise of not having to deal with clipping your cat's claws and giving your cat a cute pedicure to boot! However, if you look at the drawbacks, you may see this isn't the holy grail of claw grooming. 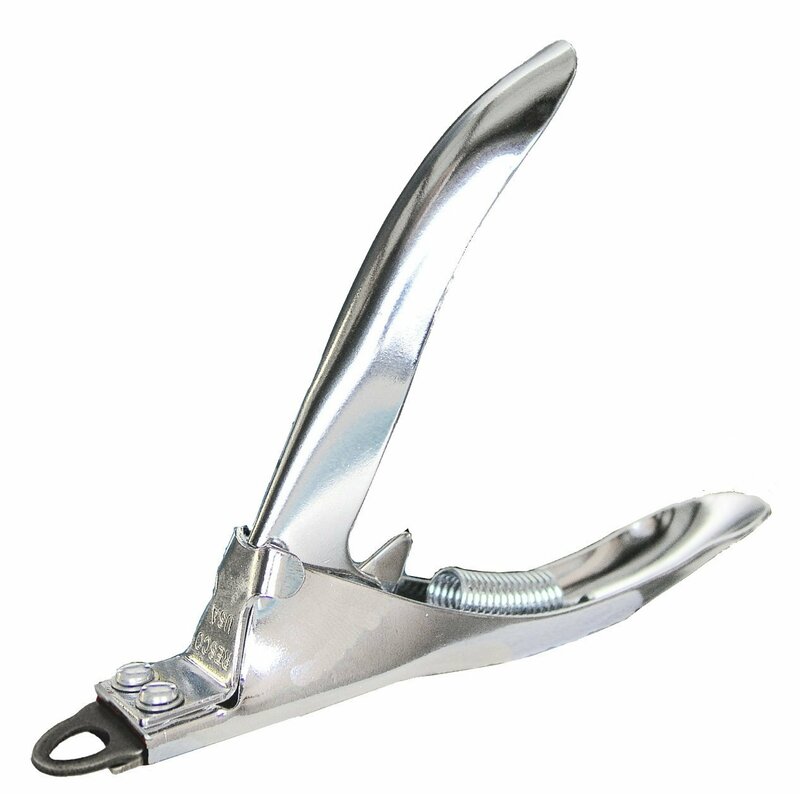 Improper application of the nail caps can crush the underlying claw. This can lead to infection you can miss because the claw is covered up. When you apply nail caps to your cat's claw, he is no longer able to fully retract his claw. This leads to walking on the tips of his toes, or nail tips. This is not only painful, but can lead to long term issues with his gait because he has to compensate for his unnatural walking pattern. Because your cat no longer has any grip, if he jumps and misses, he has no ability to grab onto anything to break his fall. This can lead to possible injury. Also, if a cap gets caught on something, he can rip his underlying claw while extracting himself. Remember, the cap is glued directly to his claw. We hope this guide has been useful to you! Remember to always be gentle and careful when cutting your cat's nails and you'll find in time your kitty will be more open to having his nails done!